The NFL season enters Week 7 this Thursday with an AFC East matchup between the Jets and Patriots at Gillette Stadium, but its five most expensive games this week will be played on Sunday. This week’s top-priced game belongs to the Denver Broncos, who will battle the 49ers at Sports Authority Field. Following the game in Denver is a matchup between the Dolphins and Bears in Chicago. The Panthers and Packers rank in the middle of the price pack when they play at Lambeau Field while the NFC East will showcase a divisional game against the Giants and Cowboys in Dallas. Rounding off the list are the Bengals and Colts, whose game at Lucas Oil Stadium serves as the fifth most expensive game of the week. Following a Monday Night Football showdown with the Rams in St. Louis, the 49ers will have short rest before traveling to Denver to take on Peyton Manning and the Broncos this Sunday. The game will be the most expensive of the week, however, as the two perennial playoff teams battle at Sports Authority Field. The average price for Broncos vs 49ers tickets is $544.96 on the secondary market, which will be the most expensive home game remaining of the Broncos schedule this season. The get-in price for the game starts at $213. The Bears have clawed their way back to a .500 record with a win against the Falcons last Sunday after losing two straight against the Packers and Panthers in weeks prior. They’ll host the Dolphins at Soldier Field this weekend and will have the second highest price for tickets on the secondary market. 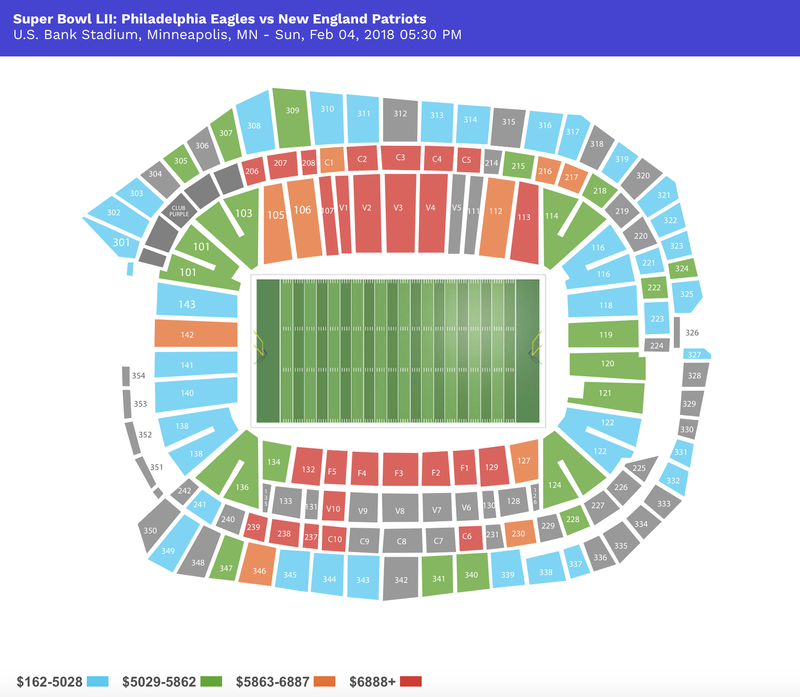 The average secondary price for Bears vs Dolphins tickets is $478.32 with a get-in price of $175. The Dolphins fell to the Packers over the weekend and head to Chicago with a 2-3 record. This week’s game will be the most expensive remaining home game on the Bears schedule. The Packers picked up a win against the Dolphins on the road last Sunday and will head home to welcome the Panthers this week. The average price for Packers vs Panthers tickets is $341.86 on the secondary market and the get-in price starts at $144. The Panthers played for an unorthodox tie against the Bengals last weekend and head to Green Bay with a 3-2-1 record to play the 4-2 Packers. The Packers will host their most expensive home game against the Bears on November 9, however, with average price for that game currently listed at $368.10. The Giants were annihilated by the Eagles in Philadelphia over the weekend and their road trip won’t get any easier this Sunday when they head to Dallas to take on the Cowboys at AT&T Stadium. The average secondary price for Cowboys vs Giants tickets to the game is $270.19 and get-in price starts at $62. The Cowboys won their fifth straight game of the season with a victory over the Seahawks in Seattle on Sunday and will look for their sixth against the struggling Giants, who will be without Victor Cruz for the remainder of the season. They own an identical record with the first-place Eagles, who also sit at 5-1 atop the NFC East. The Colts won their fourth consecutive game on Sunday with a win over the Texans on the road. They head home this week to host the Bengals, who sit at 3-1-1 entering Week 7. The average price for Colts vs Bengals tickets is $270.19 on the secondary market with a get-in price of $62. It will be the most expensive game remaining at Lucas Oil Stadium in the regular season and the final game that will reach the $200 average.